Wix website builder is another popular “What You See Is What You Get” (WYSIWYG) platform that lets people from any background get a website up and running within just a few hours or days. The underlying languages that drive the web aren’t things that most people want to months and years figuring out. That’s why there’s an industry for visual, drag and drop, webpage editors, and Wix is one of the pack leaders in this segment. As the WYSIWYG suggests, all the elements on a Wix page builder can be manipulated and move visually and there’s no coding skills required to set up a webpage. Users can select from preformated templates that are essentially just placeholders for whatever content a person decides to post on the web. The only thing that novice would have to take a deeper look at is if they want to create a responsive site. 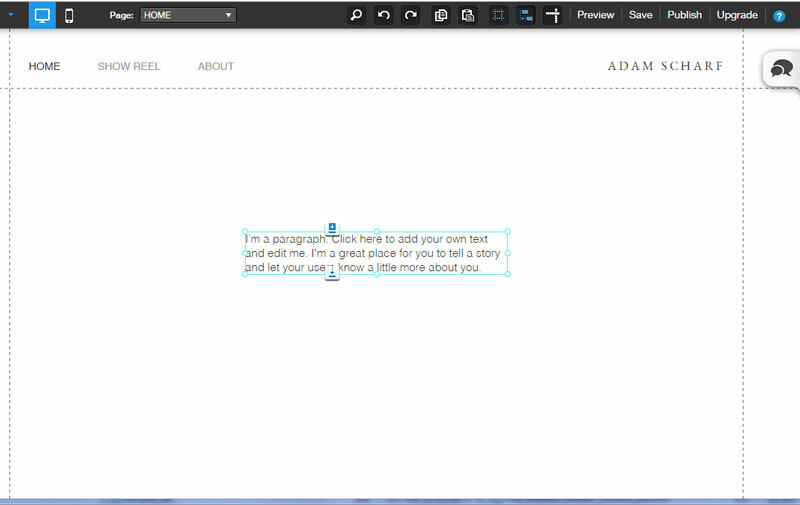 Wix’s page builder doesn’t have reponsive options (i.e. auto scaling of the page to lookg good on smaller display sizes such as smartphones and tablets) so people will have to play around with the site’s layout to get the right proportion. The Mobile Editor has some nice options like jquery responsive menu, but at the end of the day it’ll be much nicer if the themes themselves have the responsive features built-in. Wix website builder operates on two levels: free and paid. Fortunately for free users, Wix’s template library are quite robust compared to similar services, and that’s an enticing value proposition for anyone that’s thinking about trying out Wix or switching platform. The difference between the paid and free templates are minimal, which means both free and paid users feel as though they’re both loved. Another feature that makes Wix a bit more appealing than its competitors is the App Market. This is where you can install some extra addons to a site to make it more interactive and appealing. Not all apps are created equally, but there are user reviews for all the apps so people can make informed decisions before installing them. The SEO apps in particular are quite nice and will do the job just fine if Wix users doesn’t know anything about how to optimize their site for search engines. Once free users are drawn into Wix’s platform they can opt to add some extra goodies by going premium. People that just want to link their Wix-created site to a domain they own can shell out $5.95 a month or $4.08 a month if paid in full for a year. The only drawback with this particular plan is Wix will slap its brand on your website with its own ads. That might be a turn off for paid users, and it’s understandable. No one wants to pay for “premium” features but are still restricted to unwanted ads being displayed on their website. Anything past the Most Basic feature and all Wix ads will be removed, leaving people with a clean and unbranded site. As the site gains popularity or if people want to add some sort of e-commerce option they can—with some additional fees that is. The business packages provide Wix users with an online store option so they can immediately begin to generate revenue via internet sales. However, keep in mind that Wix’s e-commerce platform isn’t meant for medium or large businesses. The e-commerce tools Wix offers aren’t exactly what we would consider all-in-one, and even small businesses might have to implement some third-party systems get things going at full speed. The business packages range from $16.17 to $24.90 a month, and that’s not a bad deal for any small businesses that just wants to get its foot in the door. When it’s all said and done, Wix’s site editor and the platform overall offers non-web developers an easy and cheap way to gain an online presence. With the right amount of tuning and learning, Wix have the potential to become a powerful tool for both personal and business use.